Ready to throw some dice? Are you willing to do some math and sit around a table hallucinating powerfully with friends? Don’t worry, there aren’t any drugs involved! We’ve just cracked open the RPGs for you! Role-Playing Games or more commonly known as RPG Games have been a favorite among devoted gamers for years. This type of gaming is a great way to unleash a player’s imagination and sense of adventure without putting themselves in real harm’s way. When it comes to RPGs there are also different types to choose from. One of the most popular of which are: Live Action Role-playing games where players gather in a place in full costume to play out the game, Role-playing video games where players interact with each other through the internet as they go on a quest, the forum RPG where gamers gather online and interact solely on online texts to play the game. Finally, the most popular of all is the tabletop RPG game. Tabletop RPGs are considered as the classic because it came long before the internet was a staple. When playing tabletop games, players have to come together in one room where they go on a quest or an adventure to see if they can win the game. Sci-Fi or science fiction is a world where the possibilities are endless and players get to conquer or save their fictional worlds. From aliens to artificial intelligence, the world of science is stretched to the limits of your imagination and the same goes for Sci Fi Tabletop RPG games. 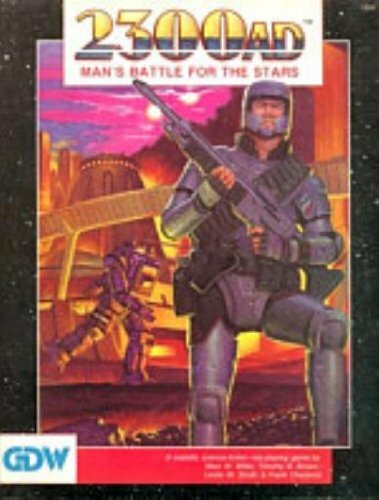 Game System Used: 2300AD uses its own custom RPG system that is different from its original game titled Traveler: 2300. This RPG game is set 300 years after the last millennium. In the game earth as we know it has turned into a dystopian war torn universe after the fictional and tragic events of World War III. Despite all the devastating events happening to humankind the race has held on and has managed to conquer 32 inhabitable worlds. This time the players are tasked to ensure that the human race survives and continues its exploration through the galaxy. The fate of humanity rests in your hands in 2300AD, make sure you don’t let them down. Arm yourselves with the best weapons and ammo you can gather in one of the best sci-fi tabletop RPG games because you might encounter aggressive aliens who want to invade the worlds where humans have settled in along the way! Game System Used: This RPG comes with a main set of three rulebooks and follows a custom but simple system similar to that of Star Trek’s RPG. Travel anywhere and to any time with the cast of BBC’s Doctor Who in this RPG game based on the popular and longest running TV show today. Take on the role of the Doctor (any of his 12 incarnations!) and his companions or even create your own characters to save the world from invading alien while traveling in the TARDIS. Meet beings like the formidable Daleks and Cybermen and see if you can defeat them just like The Doctor has done countless of times in this sci-fi RPG tabletop option. There are galaxies waiting to be explored in the world of Doctor Who. Don’t settle for just watching the show; with this RPG you and your friends can live all the 12 lives of The Doctor and his companions too! 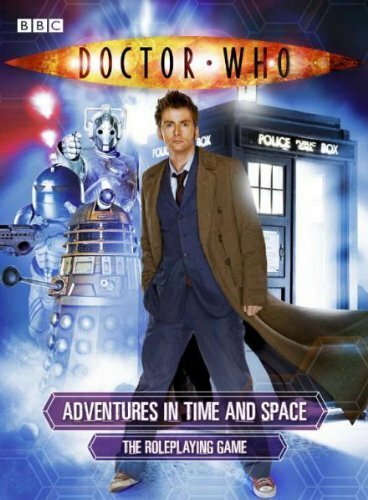 If you’re not a Doctor Who fan it may be little hard to grasp the concept of the game, so go watch a few episodes or a few seasons before diving into this RPG. Step into the shoes of your favorite superhero or even better, create and become a superhero yourself in these superhero tabletop RPG games. Game System Used: The RPG uses a Legend System also known as a variant of the classic D6 System. 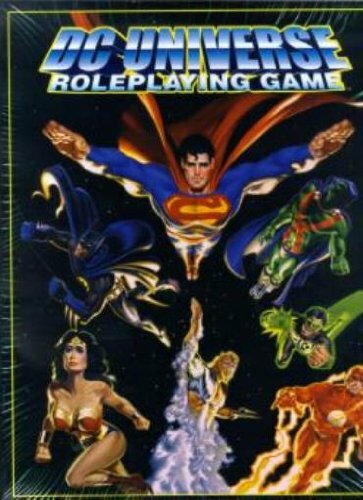 Take on the role of Batman, Superman, Wonder Woman, or any of your favorite DC Comics heroes in this superhero tabletop RPG game. Players follow the game along using the published source books according to their characters. The Gotham City sourcebook (Batman-related characters and events) and Metropolis sourcebook (Superman-related characters and events) are the most popular choices. The sourcebook contains information about key characters, organizations, and technologies available within the DC Universe. The superhero world is ready to be taken over by you and your friends. It’s time to don the costume (your choice if it’s just in your imagination or you will actually dress up!) and save the population within the DC Comic universe. After all, it’s not every day that you can call yourself a cape wearing crusader! Game System Used: A custom dice-less action resolution system is used for this RPG. If Batman and Superman won’t cut it for you when it comes to superhero RPGs, the Marvel Universe may just be the one for you. 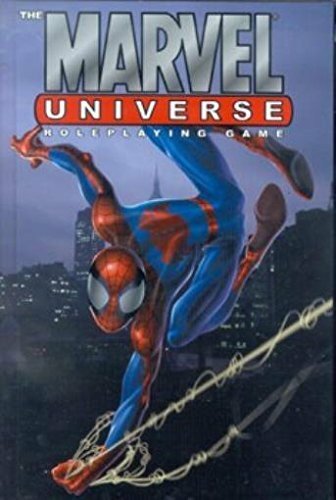 This RPG comes in the form of a 128 page book which will help you explore the world of Marvel heroes. Within the RPG book you will discover three different styles of play namely “Power and Responsibility”, “Clobberin’ Time”, and “Brawling”. No dice is needed to play this game. Instead players follow along the book through pages 7-95 and play using panels as they earn red power stones. The power stones are used to assign different actions and abilities for the characters the players have chosen. Each scenario is played out on the panel of the book that the game comes with. Players will rely on their abilities and actions to accomplish their mission in this superhero RPG tabletop that’s full of heroics and adventure. Don’t forget to continue after the RPG has ended on page 95 because the story still continues! Game of Thrones is such a popular TV and book series that it has a spin off RPG that deserves to be classified on its own. Fans of the series can now dive into the world of Westeros where they battle for control of the throne much like the characters of the series. Game System Used: Completely custom game system which does not use any of the previously used D20 or Tri-Stat dX system from other Game of Thrones RPG. 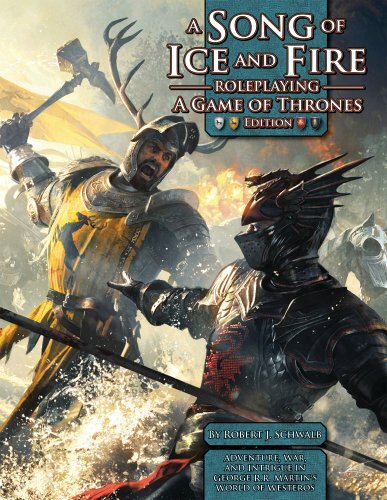 Fans of the series can dive into the world of Westeros in this Game of Thrones Tabletop RPG known as A Song of Ice and Fire Roleplaying. The game was published back in 2007 which gives you and your friends the chance to tell your own stories about the Seven Kingdoms in the series. The game includes two core books: A Song of Ice and Fire Roleplaying and A Song of Ice and Fire Campaign Guide. The books include all the things you need starting from how to create your own characters, their houses, and how to engage in mass combat. Players who want a little boost on how to get their adventure started can also look up Peril at King’s Landing, which is an additional (aka optional) supporting book for the two main books of the RPG. Fight for the right to sit on the coveted throne and battle against your friends to see who comes out victorious in this awarded Game of Thrones roleplaying game! Although technically a part of the science fiction family, steampunk is classified as a subgenre because it has a unique world of its own. The main focus of steampunk relies on its aesthetics which is a mix of technology and designs from the 19th-century industrial steam-powered machines which are all incorporated in this list of tabletop RPG games. Game System Used: A custom game system is used for CF where instead of dice playing cards are used to simulate the next actions. Journey into a world where steam power and dragons dominate the skies of an alternate Victorian Universe. 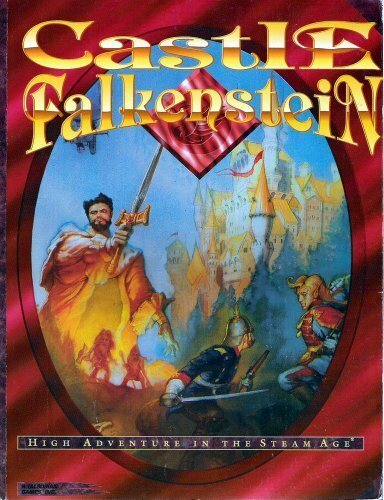 Become a Faerie Lord or master the forces of Wizardry and Magick to conquer the steampunk world of Castle Falkenstein. It’s time to pick up a weapon and learn new spells because the adventure will never end in this alternate Victorian Age. The best thing about this steampunk tabletop RPG is that it’s both a game and a story all rolled into one. The high romance, magickal technology and the Faerie world are yours for the taking! Let your imagination run wild with you and your friends gather to play this fantasy and science fiction driven RPG. With the combination of power, dragons, and the steampunk aesthetics you’ll surely fall in love with this RPG from the moment you pick up the first card. Game System Used: A custom game system is designed around this detailed and intricate RPG. Set in an alternative Victorian era where space colonies have been established on the different planets of the solar system, Space: 1889 is a steampunk RPG player’s heaven. The game was originally published over 20 years ago making it the original steampunk RPG and a must try game for roleplaying gamers all over the world. Space: 1889 doesn’t just stop at RPG, it also includes a book series based on the game (not the other way around) and so many other gaming companions that the game will always be as exciting as the first time you’ve ever tried it! Go beyond Earth and travel through an alternate reality is this amazing tabletop RPG! 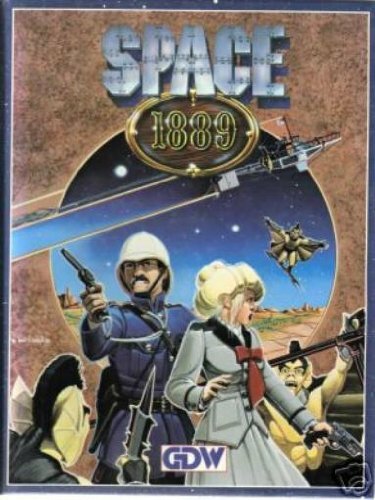 Space: 1889 is the perfect example of mixing different RPG genres to come up with a unique and interesting game that many people will enjoy. The fantasy genre is one of the most widely received genres all over the world from gaming, books, and everything else in between. It is where magic and all other supernatural elements are the norm and the only thing that will limit you is your imagination. Game System Used: Dragon Age uses a traditional gaming system for RPG and uses a variation of the D6 System where 3 six-sided dice are used to control the game play. Fantasy and dragons go hand in hand and the best fantasy tabletop RPG today is Dragon Age. This dark fantasy role playing game is a great way to introduce people to the world of RPG. The game keeps things interesting by including a special stunts system when using spells and engaging in combat. In this dark fantasy world you can choose to a part of the team conquering the challenges or even be the Game Master and challenge your friends to see who can best you in this fantasy tabletop RPG. Will you play a mage who is basically anathema to the order of the world or a Grey Warden? How about a Templar or a dwarf who lives underneath the ground? 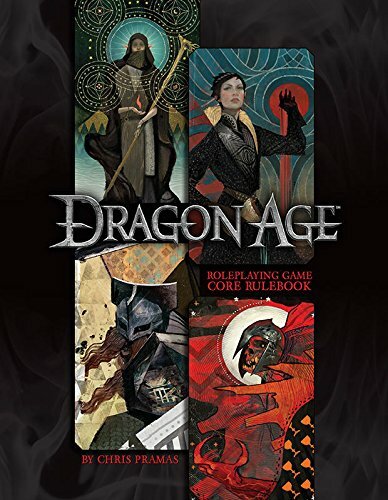 Together with a 64-page instruction kit, a group of friends, and the first roll of the dice you can enter the heroic world of Dragon Age where you get to battle villains, darkspawn, and mysterious gods and demons without ever leaving the comfort of your living room! Game System Used: A custom system that uses cards instead of dice is used in this RPG. In the fictional world that is modeled after the Wild West of the US is where Terra the Gunslinger is set. Although most of the game is fictional, there are some non-player characters that are based on real life people who were part of American History. The use of game cards is important because each suit corresponds to an ability (spirit, hope, cool, and desire) while at the same time the creator of the game wanted to instill the mindset of a poker game while playing to simulate the days gone by. Players have a multitude of characters to choose from ranging from automata to gunslingers where they battle the bad guys as they ride the transcontinental railway system throughout the game. 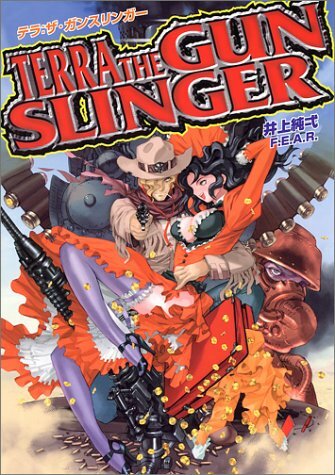 Terra the Gunslinger is a great example of the specialty genre that is known as a Western tabletop RPG while also serves as a cross with Japanese RPG. Who doesn’t love playing out a zombie apocalypse with friends? With today’s incredible choices of fictional and sci-fi RPG tabletop games you can now fight and strategize how you can live through a zombie attack. Game System Used: The game system used in this RPG is called a Unisystem which is a generic role-playing system. Players gain/earn points to generate and develop their characters. Survival is the key to winning any zombie based RPG. 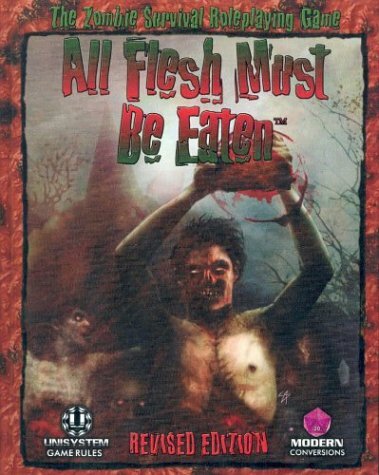 What makes All Flesh Must Be Eaten is the setting. Players are presented with several campaign settings before they begin the survival game. “What ifs” and “would you” plague players during the course of the game as they make difficult decisions not just against zombies but also against former family, friends, and allies. See if you can beat the hordes of zombies knocking down your door or the other players who are also desperate to win the game! Make sure to keep the stats of your character up during the course of the game or you might just fall behind and get eaten by the hungry zombies chasing you. Game System Used: This tabletop zombie RPG uses a Megaversal or a Palladium game system which is used by many RPGs published by Palladium Books. It is a typical RPG gaming system which uses dice to determine damage and stats of the characters. The time to survive is here and now. 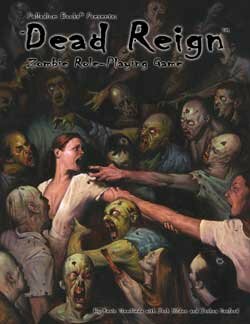 The nightmare of the living dead chasing after you comes to life in the Dead Reign RPG with all the thrills, horrors, and excitement but without any of the actual danger. Each player can be assigned a normal and ordinary person (not a zombie) and they are tasked to get them through the game and survive until the very end without ever being bitten by a zombie. They can also choose to be an extraordinary survivor who fights against the flesh eating monsters while leading everyone else to safety. The rules are very easy to learn so you’ll have no problem getting the tabletop zombie RPG started. Get ready and try your best to survive in the post-apocalyptic wasteland that has been overrun by the living dead in Dead Reign. “Modern” as a genre is a bit vague, but all it includes are modern technologies without any sci-fi elements added into the mix. A modern tabletop RPG dives into the real world scenarios, situations, and characters but also comes with an edge of excitement and drama. Game System Used: Fiasco uses a custom game system where the use of six-sided dice and no preparation before the start of the game. 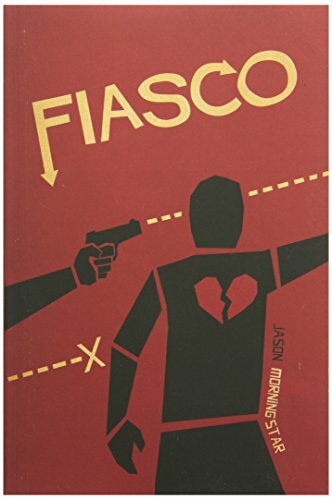 Probably the most basic and best introductory RPG for beginners is Fiasco, a modern RPG which uses minimal rules. The game is set in a small town with your everyday run-of-the-mill neighbors. What sets these neighbors apart from your usual friendly gang is that they are out for everyone else’s throat. Each player starts off having a set relationship with the neighbors around him or her and once the first dice is rolled the game and settings are slowly built up. The force that drives the players and their characters are their needs and you can come up with as many scenarios are you want. You can let your imagination loose in the town and your neighbors and create situations that are outrageously fun with Fiasco. Have a go at this multi-awarded role-playing game and you might just get hooked and move on to more complicated and themed RPGs. When it comes to RPGs, not everyone is interested in spending time at home and using their imaginations. If you have friends who you want to rope into tabletop role-playing games you should find the right genre to get them hooked. Consider what their interests are if they are more into the space tabletop RPG or into the basic modern stories and scenarios beginners can easily learn. Just give it time and slowly you and your friends will enjoy a few nights of tabletop role playing games. There is no limit to fun and excitement when it comes to RPG. Since there are so many genres to choose from, you will always be kept on the edge of your seat and looking forward to the next game night with friends. When it comes to good tabletop RPGs it will be hard to decide on just one, but the fun thing about these types of games is that your imagination can run wild and you can mix in one genre with another. Have a space tabletop RPG mixed in with zombies who have taken over other planets, it’s all up to you on how you want to mix and match RPG games. These games were designed to test the limits of your critical thinking, planning, forethought, and of course the boundaries of your imagination. What do you say? It’s time to dust off your pair of dice and get the role-playing games started!